Through her restaurants and Bazaar del Mundo Shops, Diane Powers continues her dedication to the exposition of Mexican cultures. Now the embodiments of all things “fiesta!”, her award-winning restaurants will feature the “Cincorita,” a delicious strawberry and kiwi margarita decked out in the colors of the Mexican flag, plus ­inspired “Cinco” fare and other festive specials to celebrate the occasion. 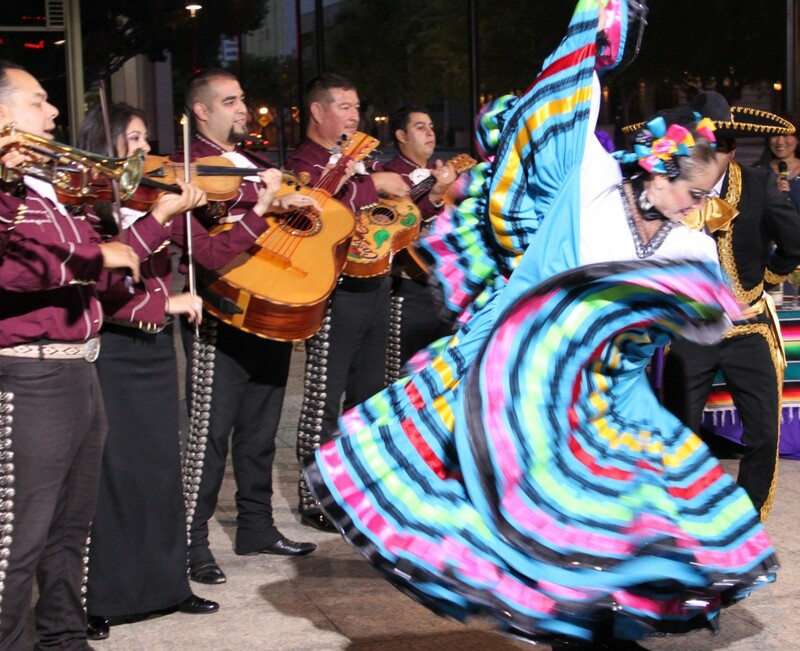 May 5–6: Guests will receive discounts on two Mexican food favorites – Chile Verde and Chile Colorado – as strolling mariachis and folkloric dancers perform throughout the day. The restaurant will also host promotional giveaways from favorite tequila brands such as Casa Amigos, Hornitos, Partida and Gran Centenario. May 5–6: For true “Cinco” style, enjoy the “Enchiladas Banderas,” a savory sampling of chicken, cheese and beef enchiladas served with three different sauces – rojas, verde and blanca (red, green and white). Music and folkloric performances will take place throughout the day as well as promotional giveaways from Dos Equis, Corona, Hornitos, Cabo Wabo, Grand Marnier, Puerto Vallarta Tequila and more. May 5–6: Celebrate with music, folkloric dancing and hourly specials on select margaritas and tequilas, including Casamigos, Casa Noble, Hornitos, Clase Azul and more. Guests will also meet representatives from their favorite tequila brands and receive festive giveaways and souvenirs. May 5: Get in the spirit with a build-your-own nachos bar on Casa Sol y Mar’s beautiful outdoor patio, or take a tour of Mexico with $20 beer buckets and $15 Patron flights in the lively Cantina. Strolling mariachis and folkloric dancers will perform in the dining room as guests enjoy $5 house margaritas and Mexican beers. Representatives from Corona and top tequila brands will also liven up the party with giveaways and souvenirs. 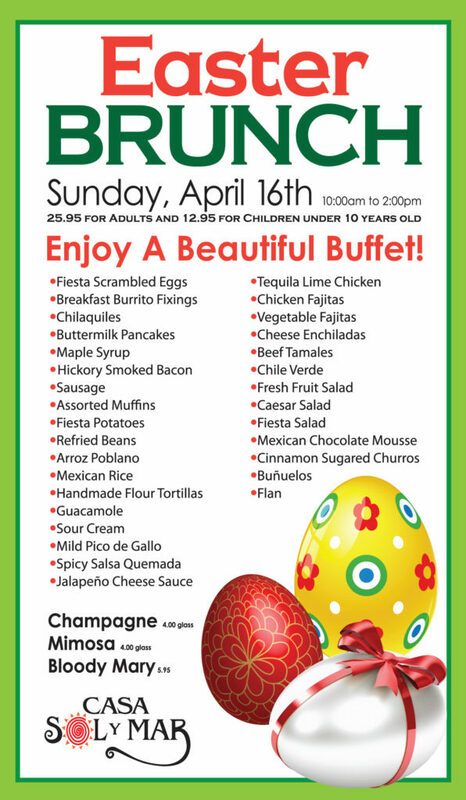 Join the Easter Fiesta at Casa Sol y Mar! Visit Diane Powers’ Casa Sol y Mar in Del Mar Highlands Town Center to enjoy a celebratory Easter champagne brunch buffet!